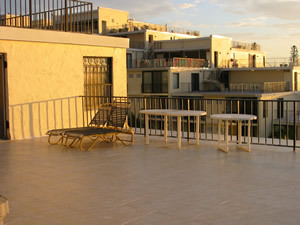 Large 4th floor oceanfront studio that opens to a 30' x 30' rooftop terrace overlooking the ocean and pool. 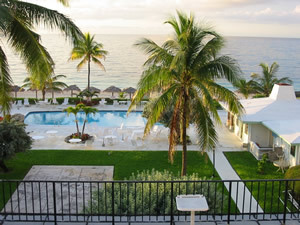 Beachfront complex on beautiful Grand Bahama Island, white sand beach and crystal clear water. 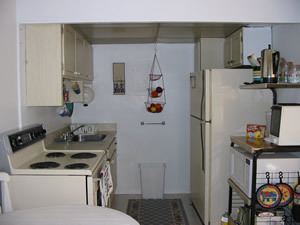 Newly decorated and all new appliances, draperies and more. Just 1/2 mile via beach or road from Port Lucaya. Convenience store on premises. Restaurant/bar adjacent to pool area. Easy access from many major US cities as well as direct flights from many cities. Ocean front unit. Located in oceanfront complex. Queen size bed, large 9-drawer dresser, double sleep sofa and single sleep sofa. Clock radio with CD player. Bath with separate dressing area with vanity, full tub with shower, all linens provided. Hair dryers and curling irons. All linens provided including beach towels. Fully equipped kitchen with all new appliances, including electric range/oven, refrigerator, microwave, coffee maker, toaster, blender, electric can opener, crock pot, dishes and utensils. Dining area with table with four chairs adjacent to kitchen. Living room area includes TV with cable and DVD player. Eating table with 4 chairs on balcony. Beach chairs. Private secured parking lot adjacent to building. Other amenities not listed above: Phone (local outgoing, incoming from anywhere) with answering machine. Use of full fitness gym adjacent to building for small daily or weekly fee, beach chairs, beach towels, selection of books and magazines. Public bus stop just steps away--can be in Port Lucaya (85 shoppes, restaurants and nightlife), grocery shopping, churches or casino in minutes. Other activities/entertainment: Jet skiing, kayaking, parasailing, banana boats, private hair braider on premises. 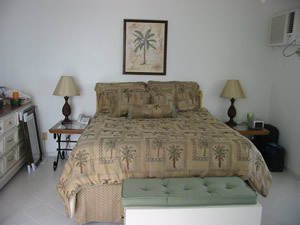 $110 per night, $725 per week, $2,500 per month Call for longer rental rates.